Nintendo Social Media Marketing Strategy: Img. Src. – Pixabay. The famous Nintendo was founded in the year 1933 as an unlimited partnership as Yamauchi Nintendo & Co. Fusajiro Yamauchi, the founder started manufacturing Hanafuda Japanese playing cards in Kyoto in 1889. It is a leading name in the field of home entertainment and gaming. The company has grown into a major brand of home consoles and video games. It is headquartered in Kyoto, Japan. It also has regional offices in other parts of the world. Nintendo Europe has its office in Germany. Nintendo is an innovative brand of video games and gaming consoles. It has brought a large range of gaming consoles and video games like Nintendo Wii, Pokemon, Super Mario, Zelda, Donkey Kong and more. Gaming brands use several platforms for marketing themselves including the social networking websites. Read about how Nintendo has engaged followers on these sites and marketed its products and brand. Facebook is the leading social media network with a very large follower base. It is an engaging platform with a large range of attractive sharing features. You can share multimedia content with your audience and launch marketing campaigns. It is why businesses use social media accounts on Facebook to connect with users and grow their follower base. Nintendo has a large base of followers and it shares promotional content with them regularly through Facebook. There is a large base of fans and followers of Nintendo on Facebook. Nintendo uses several accounts to promote its products. Nintendo and Nintendo Switch pages on Facebook have the largest number of gaming fans. Nintendo Switch has the highest number of followers at 6.5 millions. The Nintendo page has 4.9 million followers. Other related pages include Mario, Mario Kart and The Legend of Zelda. Nintendo makes regular posts and shares contents on Facebook to stay connected with its followers. The company makes no more than 1 to 2 posts a day. However, it has achieved a nice level of engagement. Each post receives thousands of views, hundreds of likes and a large number of comments and shares. Twitter is another leading social media platform that has a large audience and special tools and features to be used for marketing and customer engagement. Several brands use Twitter for real time marketing and for keeping customers and loyal fans engaged. Twitter is an innovative platform and apart from sending Tweets and sharing multimedia content, you can use Twitter to run marketing campaigns. It’s easy to connect with millions of users in no time. Nintendo has an impressive customer base on social media that it reaches regularly through its social media accounts including Twitter. Nintendo of America is the main official account of Nintendo on Twitter. The company has a very large follower base of 9.5 millions on this network. It has some more accounts to help it reach different customer segments and markets like Nintendo of Europe and Nintendo UK. Instagram is a leading social media channel with a large user base. You can successfully market your brand and products using Insta. It is most suited to marketing your brand using multimedia content. Several brands promote their content using Insta and its unique sharing features. Insta is good for marketing gaming products as it has excellent features for sharing multimedia content and for discussions. Insta is mainly an image and video sharing platform. However, it also offers features for discussions and comments. Nintendo has around 4.8 million followers on Insta that the company regularly shares content with. Each of these posts attracts hundreds of thousands of views. Some have received more than 200 K views and some more than a thousand responses. This is excellent level of user engagement. Linked In is both a social media site and a platform for marketing your brand and work culture. Businesses use it for hiring as well as promoting their business and organisation culture before a large group of professionals. Nintendo has and 146 K followers on Linked In and the company shares promotional content every one to two days with its customers. These posts on Linked In are mostly promotional in nature and to attract users’ attention to new products and deals. Nintendo should use the platform to promote the company’s culture and work environment before its audience as well. YouTube is a social media channel for sharing video content. Nintendo is gaming brand which uses video marketing for sharing and promotion and for engaging loyal followers. 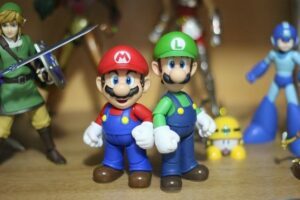 Nintendo is a gaming channel and video marketing is most useful for promoting games and consoles. There is a very large base of gaming fans throughout the world and YouTube is a very suitable channel for attracting gaming fans. Nintendo is a successful gaming company and that is visible from the large base of followers on social media. Each one except Linked In has followers in millions. On YouTube as well the company has around 5 million followers. This is quite a large follower base and the company promotes its brand and games regularly through YouTube videos. Nintendo has achieved a nice level of engagement through these videos which have received likes in hundreds of thousands to millions. Excited users share their excitement and love for video games through YouTube. This social networking site has several channels dedicated to gaming and you can find Nintendo fans on many of them. The world is full of gaming fans and YouTube has a very large fan base that is dedicated exclusively to gaming. Nintendo as well as gaming brands have engaged their fans through promotional videos on YouTube. Nintendo is a leading brand of video games and gaming consoles. It has brought several market leading products including games and gaming consoles. Apart form other channels it uses social media for promotions. The company has utilised them successfully to promote its products. From Twitter to Facebook, the company has utilised all these channels to stay connected with loyal gaming fans. Social media communication is now an important part of most technology and gaming brands’ marketing strategy. Using them, they can reach a diverse customer base. Nintendo’s user engagement level on social media is impressive and on most channels apart from Linked In, it has a very large follower base running in millions.